While introducing the basics of Kanban to people, it raises many difficult questions on top level (leadership and management). 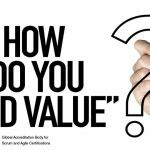 As Kanban is less dictatorial than Scrum, the type of questions that rises are difficult to answer and one has to trace the questions back to the principles of Kanban. One of the common arguments against Kanban is that it takes time to create and deliver the final product. Decision making in Kanban is mainly focussed on real data. This is different to what we are used to. Generally in a project plan, a schedule and timing is created by seniors which becomes the deadline for the development team. From a cost perspective it is a good approach but from a value perspective people get stressed out which affects productivity. So, there needs to be a balance between freedom and control. In Kanban, the main management tool to keep a balance between freedom and control is to measure flow. Continuous monitoring of lead and cycle time gives a good idea about the flow of the team. So, team focuses on the average cycle time when starting on a new feature. This approach is based on real data not on assumptions. The focus has been created from within the team and not by top management. It leads to effective delivery and high motivation among development team. Now, every team member is responsible for improving the flow, lead and cycle time and reducing gaps. Kanban believes that the weakest stage in a process flow determines the rate of value creation. Continuous improvement focus of team members in an organization creates a more opportunities for knowledge sharing and it improves process flow. It will change the perception that Kanban takes longer time. A sustainable pace is always required for the benefit of the team members and better quality end product. Measuring flow sometimes can lead to micromanagement. Therefore, a mentor must help the team to understand that they must keep a sustainable pace to focus on the process and not on the speed of the development. Kanban mainly focuses on flow and pushing any step in the flow can disrupt the rest of the flow. Optimization of flow guarantees a continuous improvement and pace. Kanban emphasises on measuring flow rather that setting targets for team members. In this approach every phase in the process is important. Efficiency can be achieved only by keeping the process under control, reducing constraints and bottlenecks and optimizing the flow. This is what is important to the end users. They want the order to be delivered. 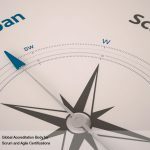 Scrum and Kanban, alike or different? Agile is a tool, not a solution! How much alike and different are Scrum and Kanban?